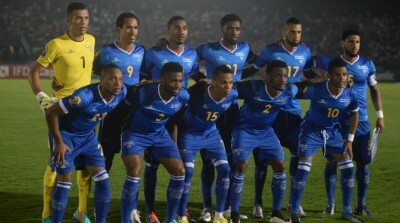 The overriding theme of Cape Verde’s 2015 AFCON adventure was undoubtedly one of painful exasperation. Nonetheless, it’s easy to forget that little over half a decade ago the Blue Sharks were swimming in the proverbial minnow pool of African football, thus a degree of perspective should be maintained when analysing their fortunes. Under Rui Aguas the unbeaten Islanders were, if nothing else, immensely well drilled defensively, with evidence of that discipline reflected in the fact that no side conceded fewer goals than Cape Verde in Equatorial Guinea. Unfortunately, at the other end of the pitch, it’s difficult to recollect genuine chances created by Aguas’ men. That they were eliminated by the virtue of DR Congo’s two goals scored being superior to their own paltry strike is without doubt the most damning statistic of Cape Verde’s ultimately futile adventure. The utilisation of a powerful a target man proved more a barrier to creativity rather than a platform from which to exploit their perceived rich array of swift offensive resources. Even when plunged into the do-or-die scenario against Zambia the Blue Sharks offered little other than huff and puff. The notion of disappointment will only be heightened by the fact that this was a genuine opening for not only a shot at a second consecutive quarter-final berth, but also an opportunity to experience previously uncharted waters – given that standing in the way of a seminal last four appearance would have been a limited Republic of Congo. The missing of such a break only adds fuel to the sense of unfulfillment, given that for nations of Cape Verde’s respective size and resources such opportunities are unlikely to present themselves with regularity. The dark days of being mere qualification also-rans should be resigned to the past. Nevertheless having scaled unprecedented heights in recent years there is now an understandable worry regarding where the odds disparaging Blue Sharks go from here. Cape Verde’s dour draw with DR Congo, which was arguably the tournament’s overwhelming damp squib, epitomised their troubles. In that desperate stalemate the Blue Sharks were typically compact but, at the same time, their neat play persistently came to nothing.